At the Hanover Trade Fair 2016, DLR is, for the first time, showcasing a model of the new HY4 research platform, which will be powered solely by a hydrogen fuel cell system and electric propulsion, and without generating emissions. To power the aircraft, DLR researchers rely on a hybrid system that combines a fuel cell with a battery. 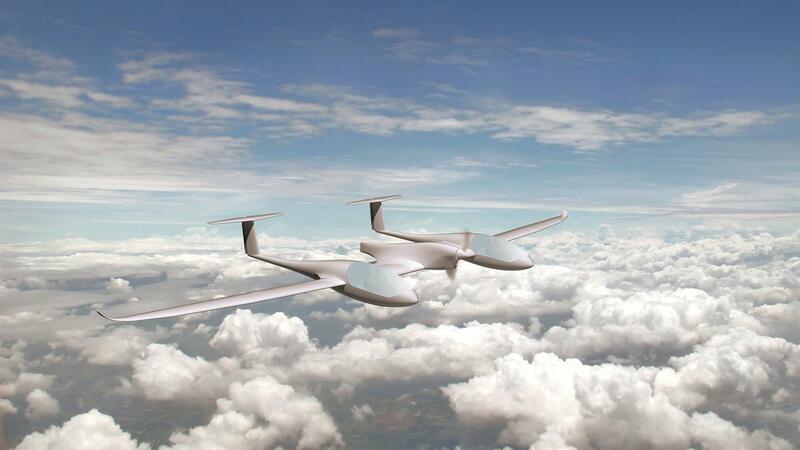 DLR's HY4 will be the world's first four-passenger aircraft powered solely by a hydrogen fuel cell battery system. 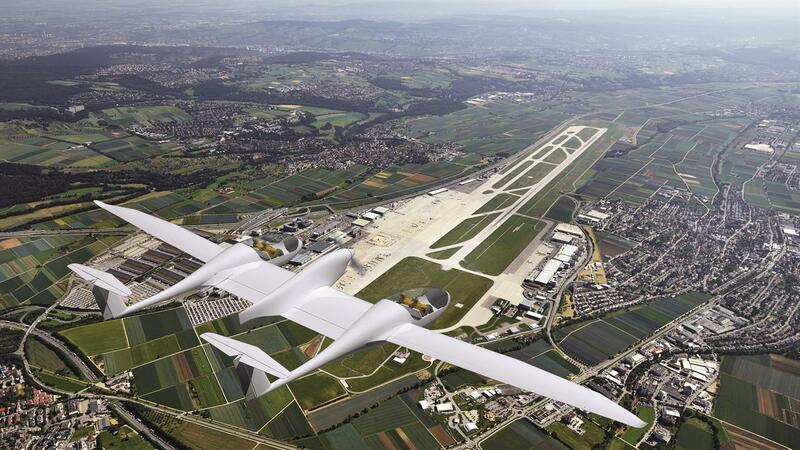 The first flight of the HY4 aircraft is planned for summer 2016 at Stuttgart airport. Electrically powered, locally emission-free passenger aircraft are set to make the transport of the future more sustainable and flexible. They have the potential to bring electromobility to the skies in the coming decades, networking with ground-based transport carriers, and thus making travel faster and easier for passengers. Researchers at the German Aerospace Center (Deutsches Zentrum für Luft- und Raumfahrt; DLR) are currently working with partners from industry and research institutions on the development of the HY4 test platform. 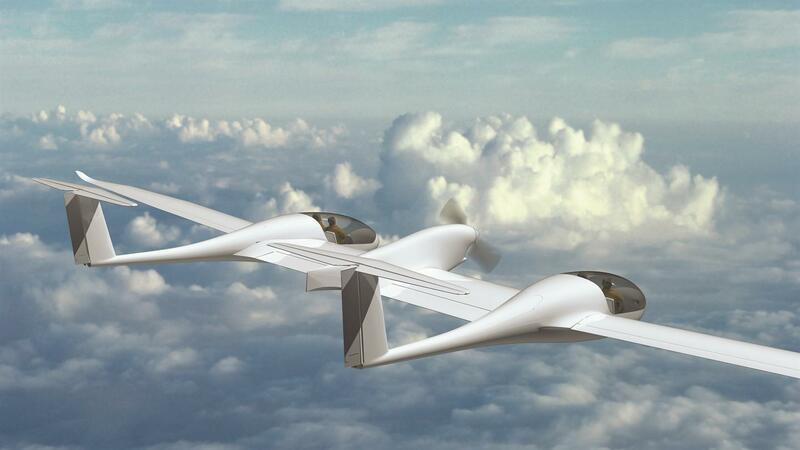 The HY4 – a four-seater passenger aircraft prototype – is due to take off for its maiden flight in the summer of 2016, using an electric propulsion system that draws most of its energy from a hydrogen fuel cell. The DLR Institute of Engineering Thermodynamics and research and development partners Hydrogenics, Pipistrel, H2FLY, the University of Ulm and Stuttgart Airport, are presenting a model of the HY4 at the Hannover trade fair on a shared stand for hydrogen, fuel cells and batteries (Hall 27, Stand E65). The HY4’s drive train consists of a hydrogen storage unit, a low-temperature hydrogen fuel cell and a high performance battery. The fuel cell converts the energy of the hydrogen fuel directly into electrical energy. The only waste product in the process is clean water. The electric motor uses the power generated to propel the aircraft. If the hydrogen required for the fuel cell is generated via electrolysis using power from a renewable energy source, the HY4 can fly without generating any emissions at all. The DLR research team has successfully tested the drive train in the laboratory in recent months. In order to take off, the engine must reliably provide a maximum take-off output for three minutes. This has already been successfully demonstrated for more than 10 minutes. The interaction of the fuel cell and the high performance battery used as a buffer and additional safety system have also been successfully demonstrated in a simplified form in the laboratory. Hence, the road is clear for installing an initial version of this propulsion system in the four-seater HY4 passenger aircraft. Realisation of the hybrid propulsion concept for the HY4 research platform is an important milestone en route to making electric flight a reality – even for passenger transportation. At the same time, it is an example of the successful collaboration between energy and aviation researchers within DLR. “Hybrid propulsion promises high efficiency with simultaneously low local emissions and, according to our estimates, could soon be capable of safely transporting passengers over short distances. Aircraft with greater capacities can also be envisaged in the long term. DLR is very well equipped for these challenges,” says Rolf Henke, the DLR Executive Board Member responsible for aeronautics research. HY4 project leader Josef Kallo adds: “Based on our experience from earlier projects, we have also been able to successfully confirm the modularity of the propulsion system for HY4. The sponsorship of this technology under the first National Innovation Programme (NIP) for Hydrogen and Fuel Cell Technology has paid off." 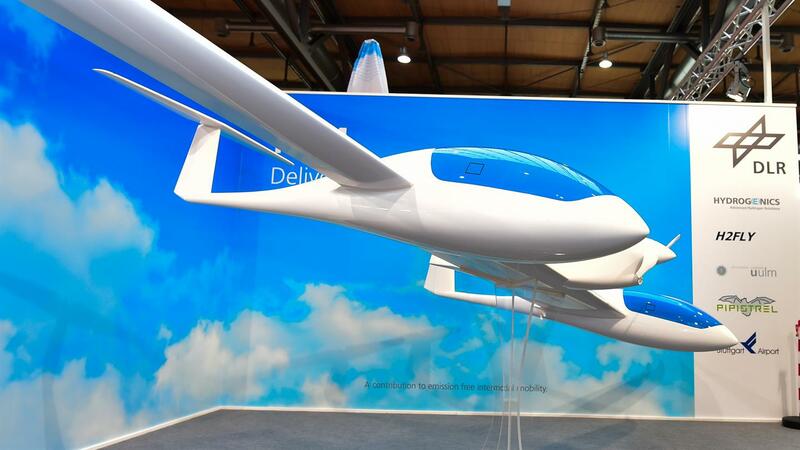 “Electrically-propelled passenger aircraft could be the critical connecting element for the development of dynamic, emission-free, networked mobility concepts for tomorrow," explains André Thess, head of the DLR Institute of Engineering Thermodynamics. “At the same time, we can expect advantageous effects from the synergy with ground-based electromobility systems.” Increasing global industrialisation and mechanisation will further increase the need for flexible transport carriers. In addition, the development of major population centres and megacities requires new, efficient, emission-free, networked transport carriers – within these population centres as well as in their external connections. In light of this global development, the European Union has set the goal of simplifying, networking and speeding up travel between the Member States. Hence, in the ACARE 2050 goals, the ACARE (Advisory Council for Aviation Research and Innovation in Europe) research network is formulating the vision of reducing door-to-door travel times within Europe to four hours and developing seamless interlinking of transport carriers. In doing so, both areas with poor infrastructure and dynamic population centres are being taken into consideration. The DLR Institute of Technical Thermodynamics is responsible for the overall integration of the drive train and certification of the electrochemical components for use in aeronautics. The HY4 research platform will be operated by the DLR subsidiary H2FLY. HY4 is based on an efficient battery-powered electrical aircraft concept developed by the company Pipistrel. The fuel cell stacks are supplied by the company Hydrogenics, and the electric propulsion concept, the electronic output components for the hybridisation unit and the optimisation of the motor are being researched at the Institute for Energy Conversion and Storage at the University of Ulm. Stuttgart Airport is supporting the project as a home airport.